Candidates who are interested to join the National Defence Academy after 10+2 can apply for the latest UPSC NDA 1 2019 notification. Through this entry, candidates can join the Indian Army, Navy and Air Force as an officer. Below we have mentioned the important details related to NDA 1 2019 notification, application, age limit, eligibility, cut off marks, exams, fee details, admit card and ssb dates. Also, we request NDA aspirants to read the official notification linked below for complete and correct details. 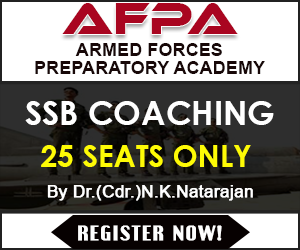 NDA Exam is conducted by UPSC two times every year, it is pen paper based test and has two different papers. Paper 1 is of Mathematics and Paper 2 of General Ability Test. To crack SSB interview, recommend you to get “Let’s Crack SSB Interview” book from Amazon. 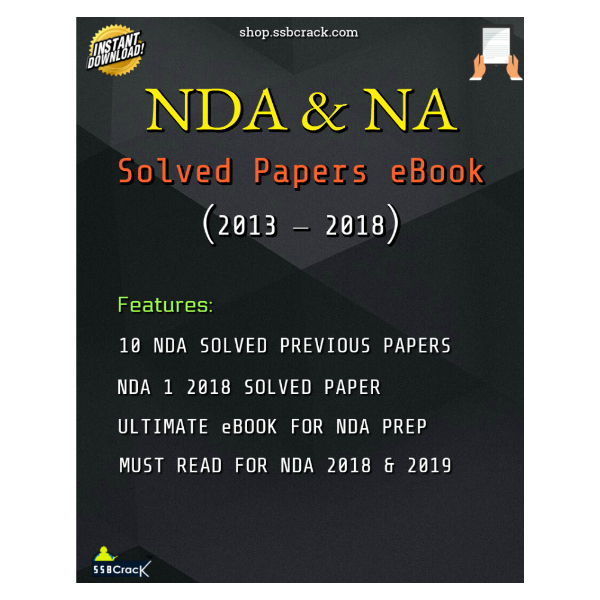 (For NDA II 2019): Age – The age range for NDA 2 2019 is from 2nd Jul 2000 to 2nd Jul 2003. The actual date of birth mentioned in your matriculation certificate will be taken as final. No other certificate or affidavit will be accepted. The candidates must be unmarried and only male candidates are eligible for it. 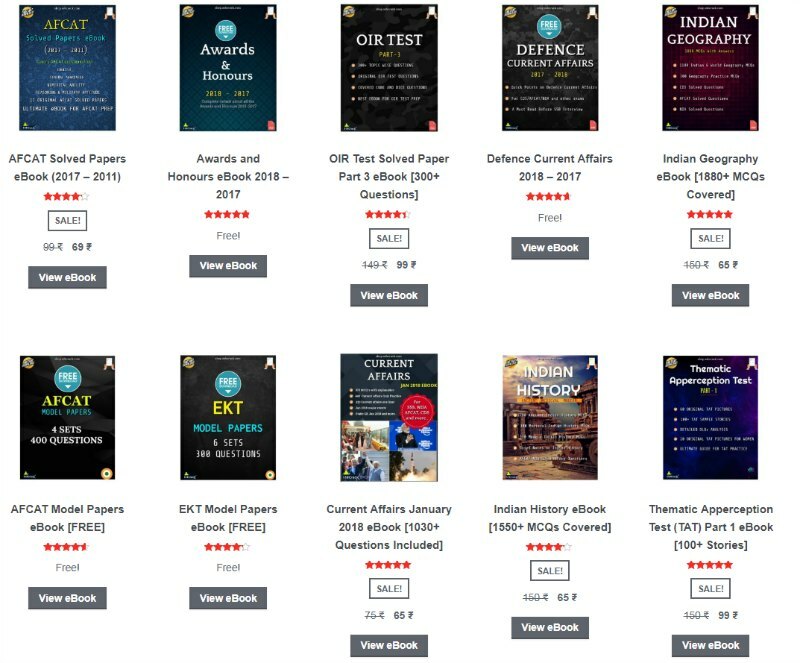 For Air Force and Naval Wings of National Defence Academy and for the 10+2 Cadet Entry Scheme at the Indian Naval Academy :—12th Class pass of the 10+2 pattern of School Education or equivalent with Physics and Mathematics conducted by a State Education Board or a University. Candidates who are appearing in the 12th Class under the 10+2 pattern of School Education or equivalent examination can also apply for this examination. Chandigarh, Chennai, Cuttack, Dehradun, Delhi, Dharwad, Dispur, Gangtok, Hyderabad, Imphal, Itanagar, Jaipur, Jammu, Jorhat, Kochi, Kohima, Kolkata, Lucknow, Madurai, Mumbai, Nagpur, Panaji (Goa), Patna, Port Blair, Raipur, Ranchi, Sambalpur, Shillong, Shimla, Srinagar, Thiruvananthapuram, Tirupati, Udaipur and Vishakhapatnam. fee of Rs. 100/- (Rupees one hundred only) either by depositing the money in any Branch of SBI by cash, or by using net banking facility of State Bank of India or by using Visa/MasterCard/Rupay Credit/Debit Card. HOW TO APPLY: Candidates are required to apply online by using the website upsconline.nic.in Brief instructions for filling up the online Application Form have been given in the notification. Detailed instructions are available on the above mentioned website. e-mail id while filling up online application form as the Commission may use electronic mode for contacting them. Those candidates who have yet to qualify in the 12th class or equivalent examination and are allowed to appear in the UPSC Examination should note that this is only a special concession given to them. They are required to submit proof of passing the 12th class or equivalent examination by the prescribed date (i.e. 24th December, 2018) and no request for extending this date will be entertained on the grounds of late conduct of Board/University Examination, delay in declaration of results or any other ground whatsoever. Candidates (excepting SC/ST candidates/Sons of JCOs/NCOs/ORs specified in Note 2 below who are exempted from payment of fee) are required to pay a fee of Rs. 100/- (Rupees one hundred only) either by depositing the money in any Branch of SBI by cash, or by using net banking facility of State Bank of India/State Bank of Bikaner & Jaipur/State Bank of Hyderabad/State Bank of Mysore/State Bank of Patiala/State Bank of Travancore or by using Visa/MasterCard/Rupay Credit/Debit Card. HOW TO APPLY: Candidates are required to apply Online by using the website upsconline.nic.in Detailed instructions for filling up online applications are available on the above-mentioned website. The Online Applications can be filled up to 06th August , 2018 till 6.00 PM. The Online Applications can be filled up to 02th September, 2018 till 6.00 PM. Two-stage selection procedure based on Psychological Aptitude Test and Intelligence Test has been introduced at Selection Centres/Air Force Selection Boards/Naval Selection Boards. All the candidates will be put to stage-one test on first day of reporting at Selection Centres/Air Force Selection Boards/Naval Selection Boards. Only those candidates who qualify at stage one will be admitted to the second stage/remaining tests. In Second stage, candidates will be facing, psychological tests, personal interview and GTO. To preapre for the same, we suggest you to get these two bestselling books; Let’s Crack SSB Interview and Breaking the code of SSB Psychological Tests.